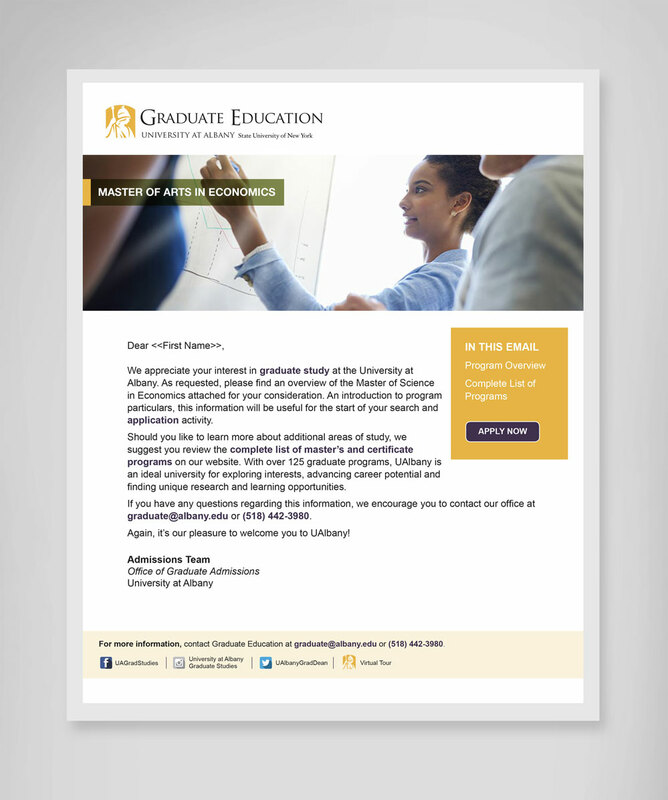 This initiative involved a series of sell sheets, landing pages, and emails aimed at marketing specific graduate programs offered by the University at Albany. 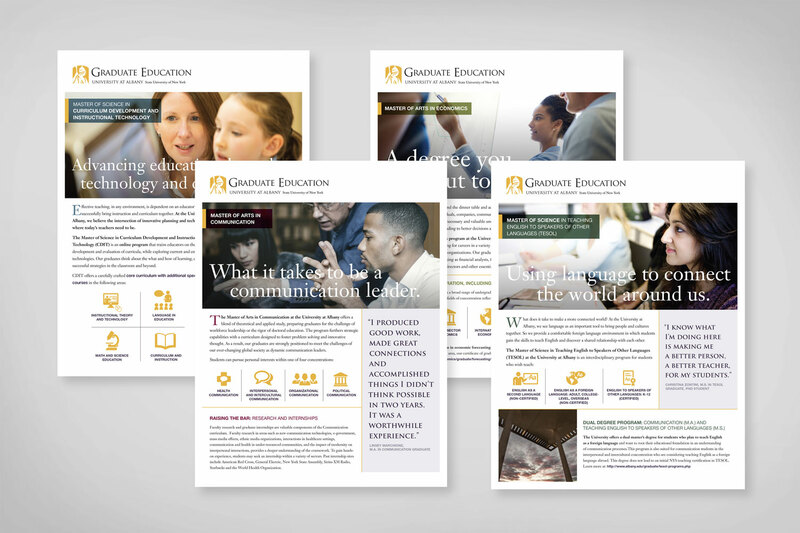 We focused on staying within the University’s existing brand guidelines and using infographics and icons to quickly convey program details. 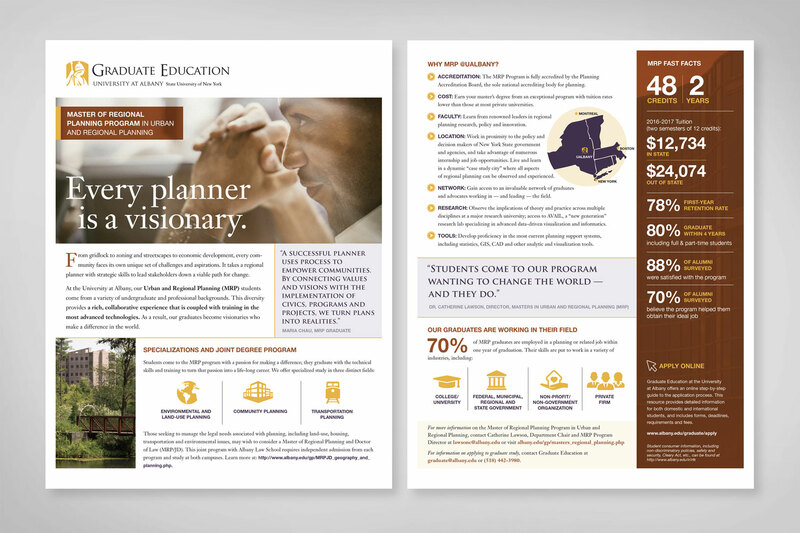 By creating design templates, the University could easily generate materials for additional programs as needed.